If you don't already know, I will be turning will sixteen years old in a few days! Since I was nine, I have been throwing myself birthday parties and each one I had has a theme. I consider myself a party planning pro and with the knowledge I have, I will teach you how to throw a killer party! Why do you want a party theme? The answer is simply because it is more fun. Close your eyes and imagine yourself at a boring party with no theme. Now imagine a boring party with a Hawaiian theme. Tiki lights, Hawaiian music, a barbecue, martini glasses with little umbrellas ( that gets me each time! ), a limbo, and wearing a lei. Party is not so boring anymore, is it? What party themes are there? 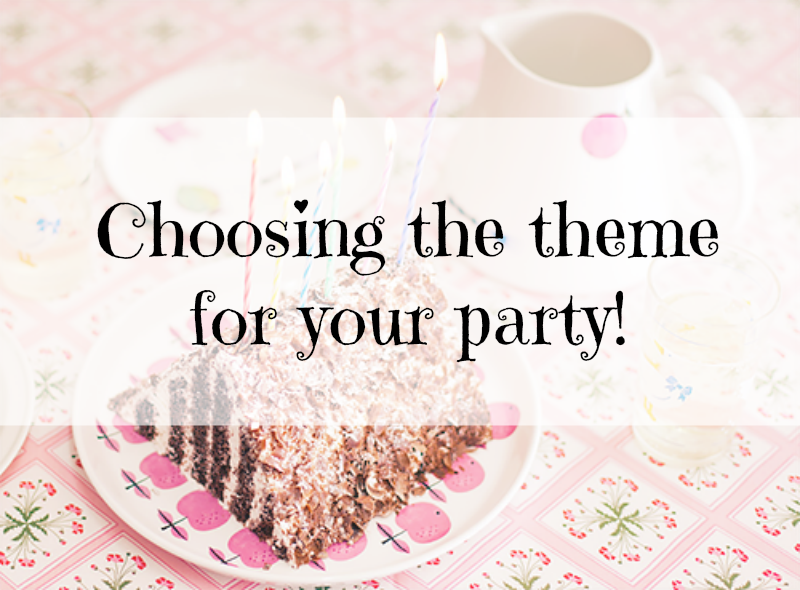 There are tons of party themes you can choose from that are plastered all over the internet. If you are completely lost just go to the party store and they have a bunch of pre-made theme party supplies. I will just give you a list of all the themes I did and explain them so you can get a better understanding. Peace/Hippie - This was my first-ever themed birthday party. I just raided all the 'peace' themed party supplies from Party City. We really did not have any games or activities related to the theme, but it was a success. Movie Night - This was my favorite birthday party ever! I put so much work into this party, that its not even funny. We played games like making skits, walking the red carpet, Pictionary, etc. At the end of the night, who ever got the most points from winning games would get to choose their treat for the movie first. Murder Mystery - This theme took much more effort because I had to make characters and assign them to different people. I had to practice the game with the killer and the person who dies. Put clues and sabotages everywhere. When time was up, I had everyone say their guesses, and I wrote the name of the killer on the cake. Genius! Tea Party - This was my first year of High school, so I did not have time to plan that much. It was just a little tea party and the activity was painting. Nothing special and it was not as nice as I wanted it to be. Hawaiian - This was actually a surprise party for my friend in Summer a few years ago. It was so much fun! In the afternoon everyone came, and I had Hawaiian themed items like the leis and the tiny umbrellas. We surprised the person and at night we had a ton of tiny fireworks to play with. If you live in an house with your parents and siblings, get them to help you with the party! Right now my committee consists of my dad, who buys and helps set up, and my sister, who cooks. When your high-school you can't give more than 35% of your time to party planning, that's why you have a crew. You are the leader! I hope this post helps you part planning and choosing a theme for whatever you are celebrating. Remember a party can go smoothly with some music and a dance floor. My biggest tip for any party planner is if you want something done right, you have to do it yourself. Have fun! What parties have you ever thrown with a theme? Love the idea of throwing a fun themed party!